"I believe I was ridiculously overcharged for changing the sparkplugs.."
"The manager and staff always go above and beyond. The.."
"Excellent service and quality of work. The explanations with allowing.."
"Kedir e a great man and BP at Battlefield is.."
"The service at Battlefield BP is second to none. Cheddar.."
"A last minute flat on the way to Dulles Airport.."
"We stoppped in last minute on our way to Virginia.."
"Great service for my son's car." "They offer coupon tru third party. I purchase this coupon..."
"Kedir, the manager and the rest of the staff treated.."
"The service was great, and the care for the vehicle.."
"These people has high class service. I was extremely impressed.."
"I was travelling from Baltimore, MD to Harrisonburg, VA and.."
"Over the last 15 years I've used nearly every auto.."
"Anyone and everyone should know good and even the Best.."
"I just had the best service that I've ever gotten.."
"The customer service is excellent. The quality of service is also excellent." "Great service- friendly and helpful personnel- Great followup. maintaining a car.."
"I've been bringing my vehicles to Battlefield BP for the.."
"I love this place!!!! Whenever something goes wrong with.."
"It is a great place to get your service"
"I would say....these guys are awesome!!! They know what they.."
"If you need honest,professional service Barrlefield Bp is the place to go." "- Extremely friendly - Fast service - Highly recommend"
"This is a place where you can trust the person.."
"Friendly, knowledgeable staff. Confident in the work performed. Clean, comfortable.."
"Love this place!!!!!! 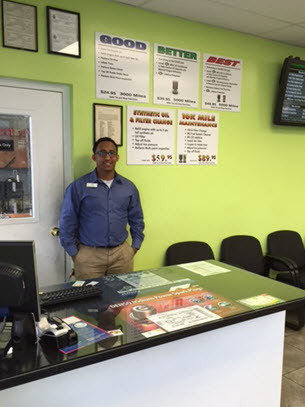 I come here for all my car.."
"I was extremely happy with my experience. I chose them.."
"Very excellent. Great customer service. Fast and liable. Kedir and.."
"The are always exceptional! Best service in town! Have been.."
"They always treat me well!"